Minecraft is a great sandbox multiplayer game that has various gameplay modes. For multiplayer Minecraft gaming, players can host their own servers that no specific person needs to log in to. However, some might not always be able to launch their Minecraft server downloads. Here are a few potential fixes if you can’t open your Minecraft server in Windows. Java Runtime Environment is an essential system requirement for Minecraft server software. So if you don’t have Java installed, that’s probably why you can’t open the Minecraft server. Even if you do, the server software might still need a more update Java version such as 1.7.10. You can verify Java and check if you have the latest version as follows. Open this page and press the Verify Java Version button. Then a page will open providing details on your Java version. Or it might state that Java is disabled or not installed. 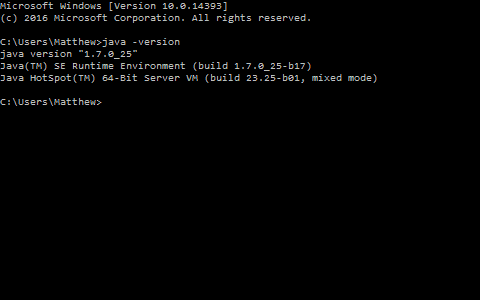 Alternatively, you can also check Java versions with the Command Prompt. Press the Win key + R hotkey and type ‘cmd’ there to open Command Prompt. Next, enter ‘java -version’ and press Return key. If you have an outdated Java version, or no Java at all, open this page. Press the Start Free Download button. Then select Save File to save the Java installer. Run through the installer to add the Java update to Windows. There are various sources you can download Minecraft servers from. There are unofficial third-party Minecraft server programs you can add to Windows. If you’ve downloaded an unofficial Minecraft server that isn’t opening, consider getting the official alternative instead. You can save that to Windows from this page by clicking minecraft_server.1.11.2.jar. The Mojang Minecraft server has an End User Licensing Agreement (EULA) you need to accept before you can launch the server. This is a required configuration for a EULA.txt file. 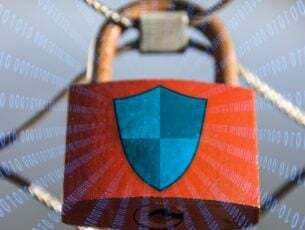 If you haven’t configured that, the Minecraft server will probably state: “[Server thread/INFO]: You need to agree to the EULA in order to run the server. Go to eula.txt for more info. [Server thread/INFO]: Stopping server.” You can configure the EULA.txt as follows. Open your Minecraft server directory in File Explorer. Then open the EULA.txt in a text editor such as Notepad. The EULA.txt will include a eula=false entry. Edit that so that it’s eula=true and then save the document. If you can’t open the Minecraft server from the Command Prompt, you can set up a batch file for it instead. This is how you can open the Minecraft server Jar version with a batch file. Enter ‘Notepad’ into Cortana search box and open Notepad. Then copy and paste the following text into Notepad with the Ctrl + C and Ctrl + V hotkeys: java -Xms1024M -Xmx2048M -jar minecraft_server.jar nogui pause. Alternatively, you can enter java -Xms1024M -Xmx2048M -jar minecraft_server.jar into Notepad without the nogui tag to open the server with the GUI window. Click File > Save As to open the window below. 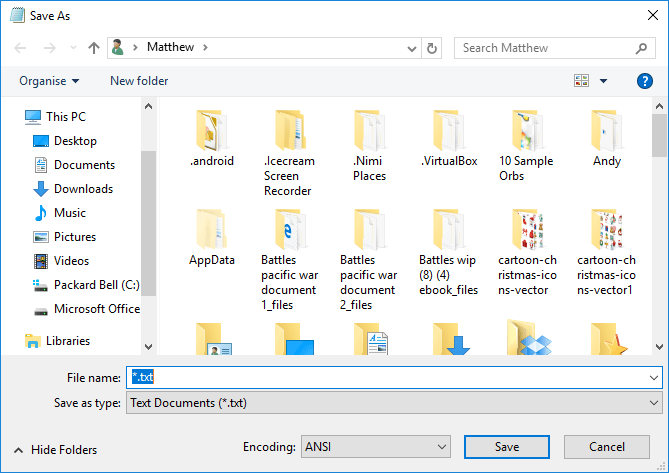 Select All Files from the Save as type drop-down menu. Then you should save the batch as startserver.bat. 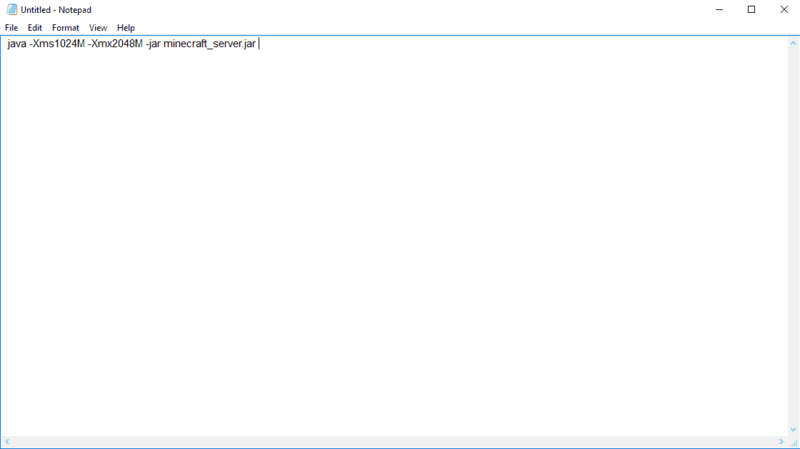 Select to save startserver.bat in the same server folder as minecraft_server.jar. Then you can double-click startserver.bat to launch the Minecraft server. If you’re getting “Can’t save server.properties” message when opening the Minecraft server exe version (Minecraft_Server.exe), run it as an administrator. So you should right-click it and then select Run as administrator instead. Then you might also need to input an admin password to run the server. If you’re playing Minecraft through the Windows 10 version, Windows updates can have a significant effect on the way the game (and other games) work. So, it’s recommended to keep your system up to date. To install the latest updates, just go to Settings > Updates & Security, and check for updates. Now, hopefully, you should be able to open your Minecraft server download. The server will generate your default Minecraft world, which you can replace with a saved game world. Then you can open Minecraft, select Multiplayer and add the server to it with IP address.